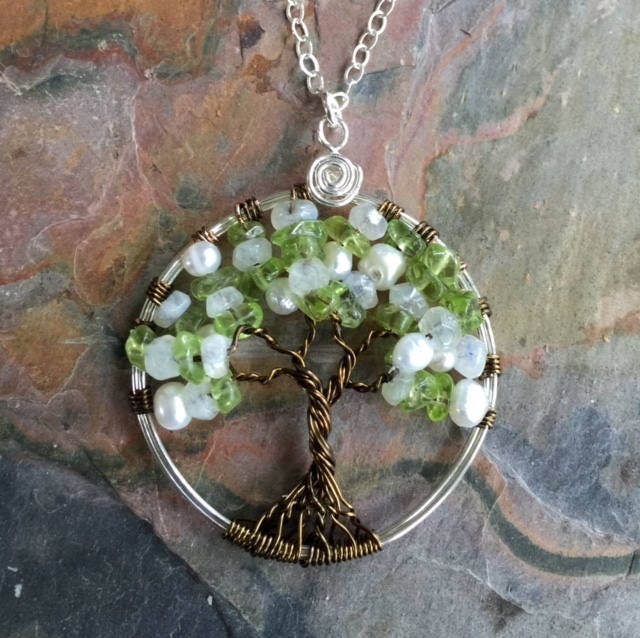 Personalized /customized Birthstone Tree of Life Pendant! Pick your own birthstone gemstones! Your tree will be made: provide me with B-stones. 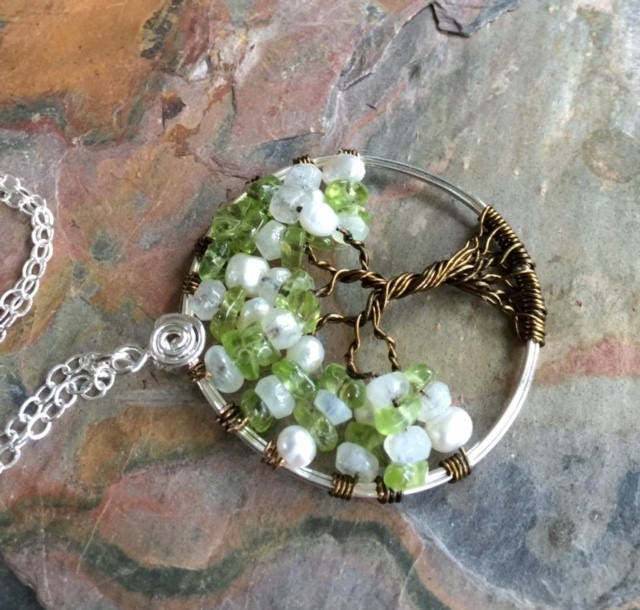 ***This tree of life pendant is an example. 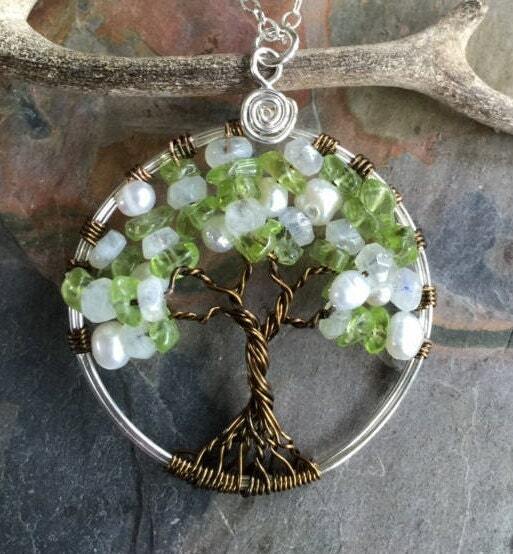 Your tree will may look different depends on your Birthstone choices. I can make the same tree as shown in the photos. ***PLEASE leave DESIRED BIRTHSTONES info in " Add an optional note to seller" box WHEN CHECK OUT. Thank you so much! 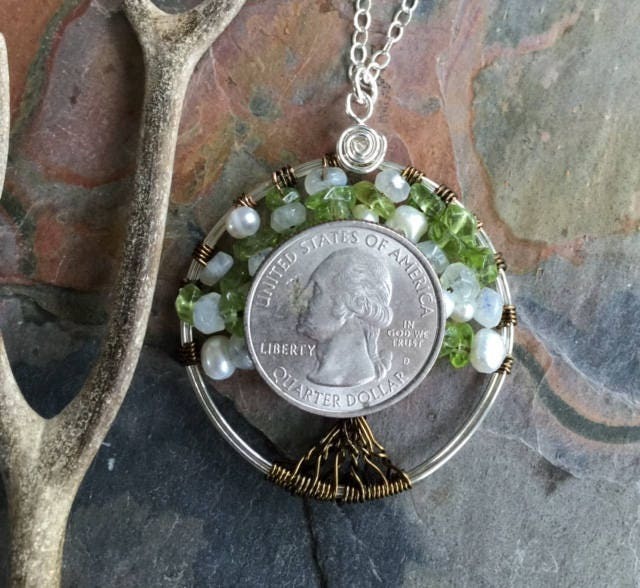 The pendant measures between 1.60 inch to 1.75 inch in diameter. It comes with your choice of cable chain. Each pendant is handmade, so please allow slight variations from the shape of the branches and placement of the stones as shown. **We can customize in different sizes, colors, and metals! Just send a message with your request. Thank you so much. The tree of life is perfect.